Swimming pools are one of the greatest assets to a home, especially if you live in the south of the United States where it gets warm in the summers. Though swimming pools are wonderful additions to the backyard, they are also a lot to keep up. Swimming pools are their own little eco-system, and need to be treated as such: including regular upkeep and the adjustment of chemicals. Here are just a few suggestions for keeping your pool beautiful, clean, and sparkling. Dirt and grime and algae have probably built up over the winter all over the sides and steps of your pool, so it’s time to get rid of all of that. The first thing to do is brush it down. When that’s done, you can run the filtration system and backwash your filters when you’re done. When you’re all done, replace the filters. There will be plenty of other smaller parts to clean once you’ve finished with the pool itself. For instance, you’ll have to clean the skimmers, the pump baskets, and the cleaner bags as needed. If you kept water in your pool all winter long, you’ll definitely need to skim off the surface layer of leaves, flowers, and anything else that managed to sneak in. Whether you keep the same water or drain and refill it every year, you need to check your pool chemistry. Most people use basic test kits that measure pH and Chlorine concentrations, but if you can find a more complete kit, you will have better pool chemistry overall. You should also check to see if you have high TDS (total dissolved solids) in the water. 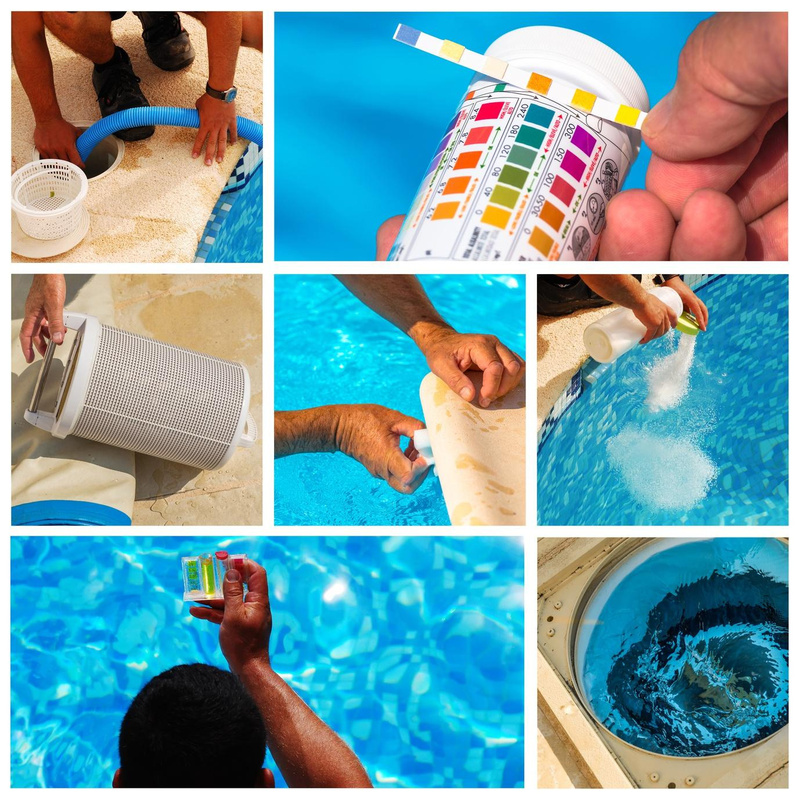 Keep in mind that you should also be checking your pool chemistry throughout the year, if not your water quality. Obviously, you will be using the pool more than you did in the winter, so make sure your equipment is running long enough to reflect this change. You may not have had anything running during the day, but it’s important to do so now. The best energy-saving tip we have for you in the pool maintenance department is to tune up your pump motor. Make sure all seals are intact and apply new silicone to reduce the chance of air leaks. It does this by helping keep rubber parts supple. If the pump has lubrication ports, lubricate the motor. Finally, turn it on to make sure that it works properly. Sunrise Pool Services is a company offering a wide range of pool services. 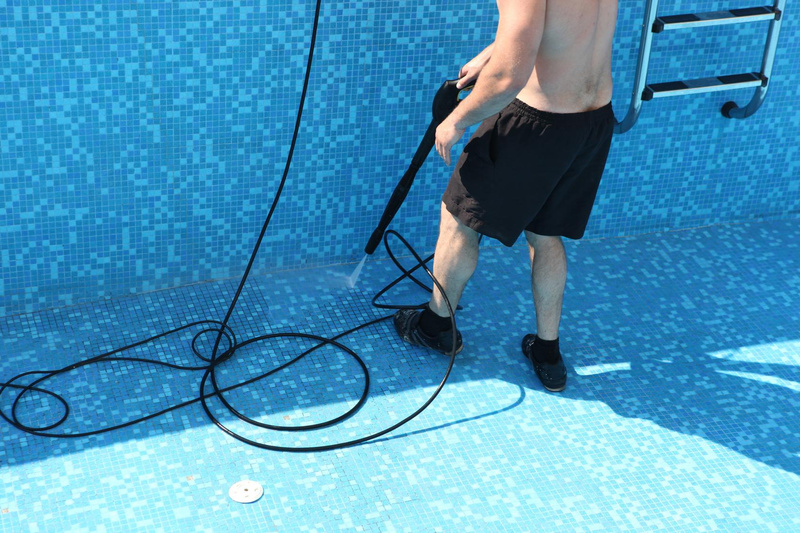 From pool cleaning to pool renovation, our expert staff of pool professionals can do it all. To get started or to learn more, get in touch with us today.